No one is certain of the outcome of the war of words between President Donald Trump and Kim Jong un of North Korea. But the fear of nuclear war has gripped people in the United States. The question has been asked in media reports about the likely direction of the impasse between the U.S. and North Korea. No one has provided any useful information other than that North Korea said it views President Trump's speech of threat of destruction against North Korea as a declaration of war. But Washington has played down North Korea's meaning of Trump's statement, but said North Korea is under its watch, with reports of American war planes' show of force in the Korean peninsula. Consequently, North Korea said it has the right to shoot down America's war plane. Manifestly, people say that North Korea is unpredictable as a nuclear power. The country's withdrawn threat to target Guam, a province of the U.S. in the Pacific was noted. The same was the U.S. reaction that if North Korea's dared attack Guam, North Korea will become history. People read the news every time that North Korea has tested many of its missiles. But the most fearful that it has tested, said to be more powerful than the atomic bomb, is the Hydrogen bomb. The atomic bomb was what turned Japan's Hiroshima and Nagasaki upside down in 1945, when the U.S. attacked Japan. But today, Japan is U.S. ally and it is under the plan of North Korea for a possible attack, to draw the U.S. into a war. What type of war is expected between the U.S. and North Korea? Observers say that North Korea as a nuclear power just like the U.S, there will be nothing less than a nuclear warfare. The U.S. has assured its citizens that they are protected and that Jong un will be given the treatment he deserves. However, there is a fear of the unknown in the minds of many people in the U.S. about what will become their fate in case the supreme leader of North Korea acts in unpredictable manner with a nuclear attack against the U.S. The issue here is what is described as the unpredictability of North Korea. Not known to have fought any war other than extorting money from the U.S. for the past 25 years, for it to behave normal and stop useless threats against the U.S. The U.S. is known to act in defense of the homeland like it has done leading to two major wars, one in Iraq and the other in Afghanistan. This followed the attack on the World Trade Center on September 11, 2001. 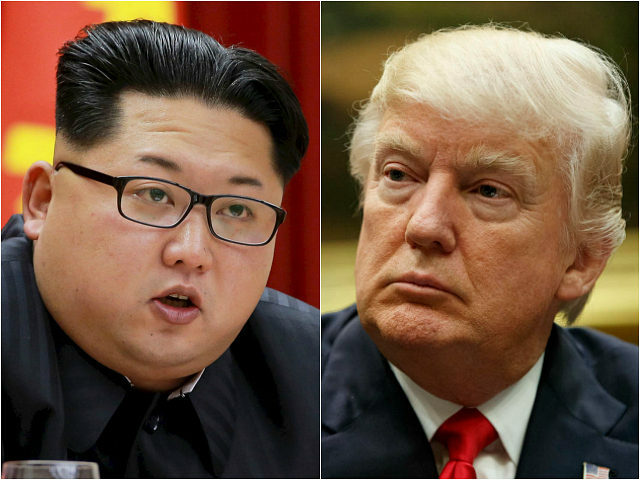 What is presently unclear is how the U.S. is handling the North Korea's issue beyond the apparent war of words between President Trump and Jog un. Will the U.S. wait to be attacked by North Korea before going after North Korea? The question comes based on the 2001 attack on the homeland and the loss of about 4000 innocent people, prompting the attack on Afghanistan and Iraq. Many people think that the U.S. should be working to get Jong un and get North Korea to behave before North Korea does anything harmful. But the American media is almost certain that the U.S. is no where prepared for any war with North Korea, despite President Trump's war of words, which they report are likely to lead to dangerous dimensions against North Korea. And every time North Korea issues new threats in its propaganda warfare, it raises the fear in the minds of people about what will happen in case of a nuclear attack against the U.S. by North Korea. Mass death? People remember Hiroshima and Nagasaki and the loss of lives, and people don't want such evil of mass death to happen to them. But something sticks out in this matter. It is that extortion payment to North Korea in any form must stop and the country stopped from being a threat to innocent people, who have not threatened him and his country in anyway. And in this case Jong un has been noted as the aggressor and the U.S. is merely reacting to his tantrums.